Pic(k) of the week 39: I am so lucky! The never ending hustle and busstle of the airport and their very primitive shelters, clearly give another dimension to our daily lives... I'm writing this, just as I'm off for a quick break to a 5 star desert hotel. I almost feel a shamed. What a contrast! 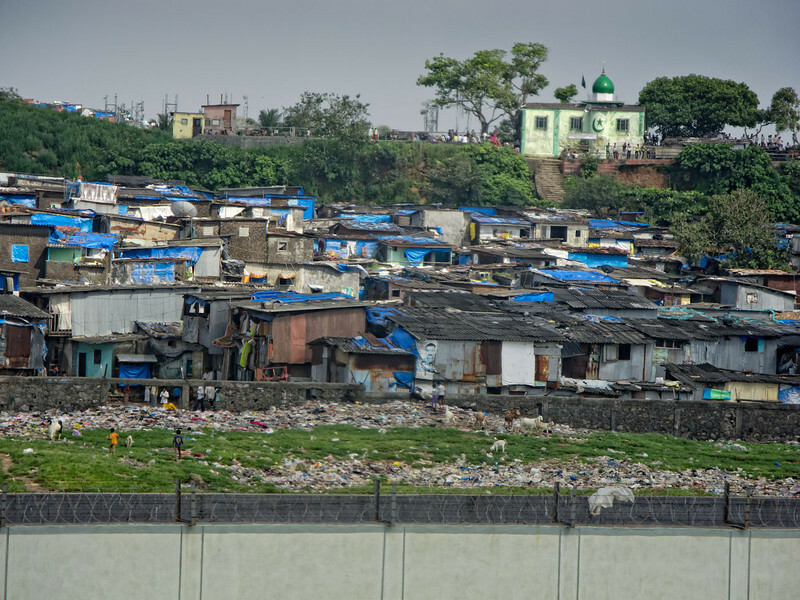 An eye opening video about this slum, can be found here. Time spent making images is not subtracted from your life-span! 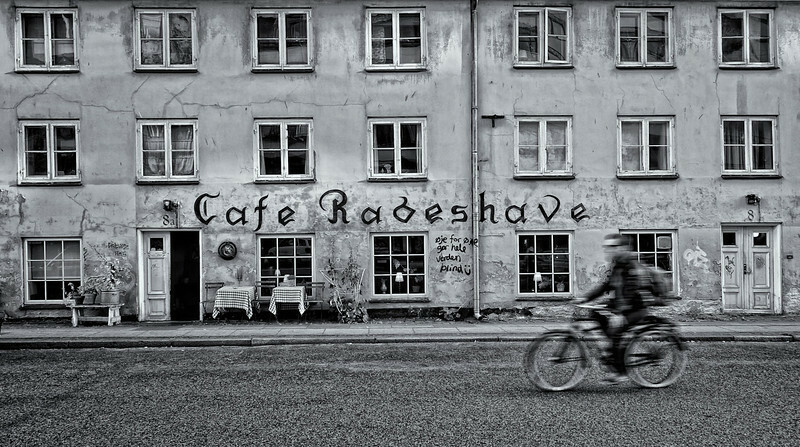 While wondering through the streets of Copenhagen last week, I made some images of a very old Cafe called "Rabes Have". Some research on the net tells me that the place in Christianshavn was originally opened in 1678 as a liqueur distillery with the current building dating back to 1802. Today it is a popular lunch restaurant known for its smørrebrød (sandwiches). While shooting the facade of the protected building, a lonely cyclist drove past. The slow shutter speed gives a good sense of motion and makes the person almost unrecognizable. Don't just take pictures, make picture! Last weekend I brought a short visit to Northern Europe; more specific, to the capital of the smallest Scandinavian country, Denmark. It had been more than 10 years since I spend some time in the country that has frequently been ranked as the happiest and least corrupt place on mother earth! 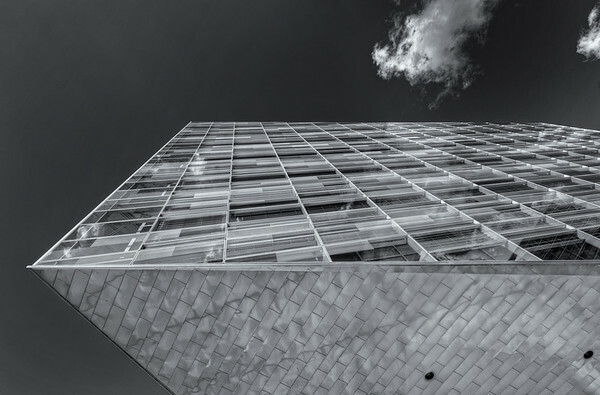 The partially cloudy skies with sunny spells, made it a pleasant afternoon for an Architectural photo tour. Because the city of Copenhagen has accumulated its buildings over a long period of time, it has not been characterized by a specific Architectural style. One of the more popular areas is Nyhavn, a 17th century waterfront with tens of restaurants and cafes along a canal where old sailing ships and colorful houses dominate the scene. 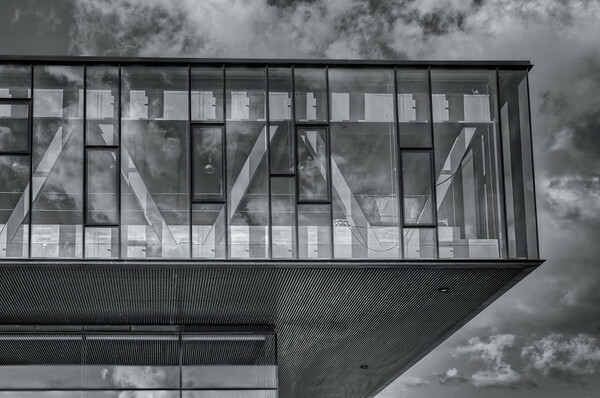 I was surprised by the amount of modern architecture along the waterfront, like the Krystallen office building above or the Royal theatre (Skuespilhus) below. 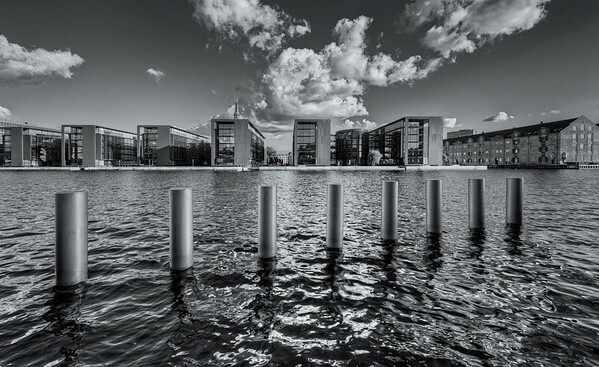 Even the area of Christianshavn across the river which used to be a working class neighborhood, has now a lot of new waterfront projects like the ones above. Even though I've been a life long friend of Scandinavia, Copenhagen pleasantly surprised me! End of 2009, I started making environmental portraits of the men working at the Dubai Fish Market. Most people working there are from either the Subcontinent (India, Pakistan and Bangladesh) or Iran. A few weeks later, I returned with their promised free prints. Distributing these is quite an experience. One finds himself immediately surrounded with tens of men trying to see if their picture is among the ones. The gratitude they express and the look on their faces, once the photo is handed over, makes the process very satisfying. It didn't take long before, I realized this would make a great personal photography project. Faces of the Fish Market was born! I've been going back multiple times and the latest images from last week, can be found here. Even though the project is purely black & white, the printed images I give to the guys, are normally in color since this seems to be what they prefer. A 4 min online slideshow with some of the best "Faces of the Fish Market" images can be found here. Pic(k) of the week 36: The old lady flies again! Earlier this week, I spent some more time with my 2011 La Ferte-Alais airshow images. 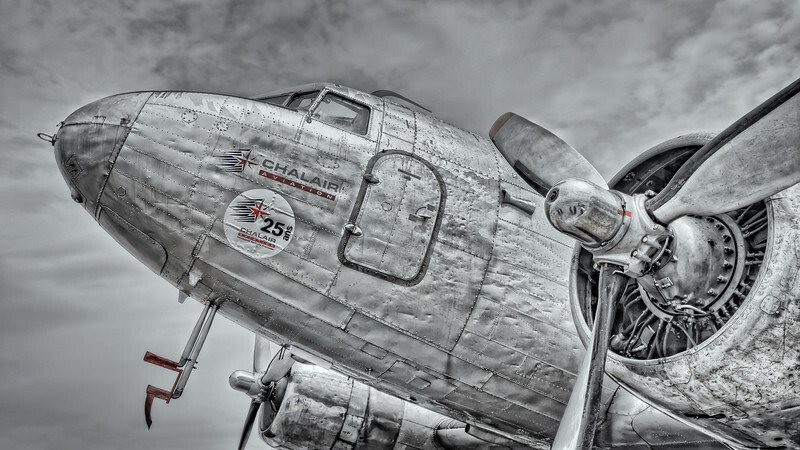 One of the new edits, was this black & white image of a 1945 DC-3 Dakota, which made it into my Aviation portfolio. This particular Dakota, started its life as a military C-47B-35-DK transport aircraft for the US Air Force and has quite an interesting history. When it left the USAF, it spent most of its life in Canada, where it was used by the British Queen as an executive transport, whenever she visited the North American country. As from the end of the 20th century, it was based in France, where it flew many air shows for the association, "un Dakota sur la Normandie" (a Dakota over Normandy). An engine failure and insufficient funds, unfortunately grounded the aircraft in 2004 at Dinard airport. Just days before demolition would start, the owner of a small French Normandy airline, Chalair, bought the aircraft and restored it back into flying condition. Exactly 65 years after its first flight, the old lady flew again on May 7, 2010 and has attended multiple air shows all over Europe since. It is because of people like Alain Battisti, that this kind of aviation heritage, still remains! Even though, the aircraft looks quite smooth from a distance, I like how the "HDR (High Dynamic Range) look" reveals every single rivet and clearly shows small dents in the aircraft skin. For non-aviators, his does not make the aircraft unsafe and is only a sign of history being preserved! Those of you interested in social media, make sure you check out my 2 new favorites, Google+ and 500px. Both links can be found at the bottom of this post. Don't just take images, make them! Exactly one year ago, I witnessed something which will be engraved in my mind forever. I guess there are not that many events in life, that one just remembers that clearly. The sun had set about an hour earlier, when a UPS cargo B747-400 airliner, crashed at 19.42h just outside our Emirates airlines villa compound. I can clearly remember how I was reading on my brand new iPad, when an aircraft screamed over the top of my house at a few hundred feet. Next second I found myself standing in the front door, witnessing a large transport aircraft hitting the ground and bursting into flames. The rest is history! 365 Days after this tragic event, the investigation by the NTSB and the UAE aviation authorities is still ongoing. A preliminary accident report, was released in April this year. Captain Doug Lampe and First-Officer Matthew Bell, even though we never met, you will always be remembered by the Dubai Silicon Oasis pilot community! Please spend a few minutes and visit my initial "Tribute to Doug and Matthew" as a matter of respect for these two fine aviators!